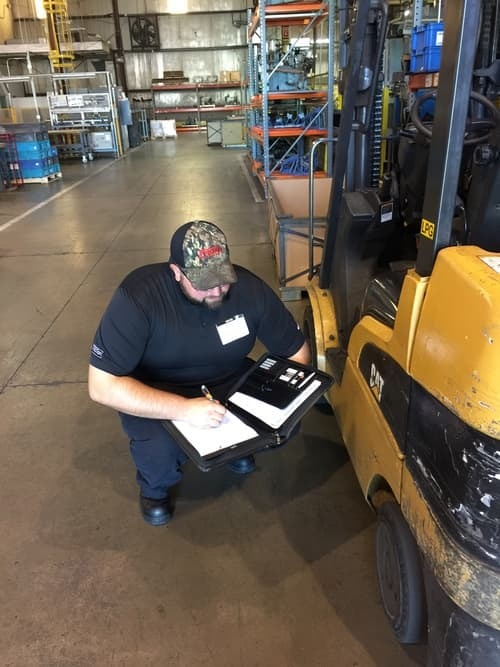 Make your forklift tires last longer with retreading and grooving! We buff away the original tread before applying a new tread layer. This has also been known as recapping. If your forklift tires still have wearable rubber, we cut new tread into it to make use of the existing depth. Are your forklift tires in need one of these treatments? Contact us today! 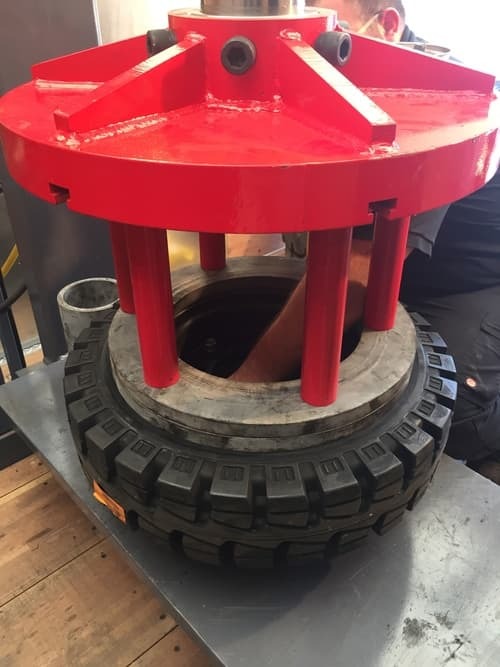 Do you have a forklift tire that’s too large to press or mount on site? Bring any tire down to our shop for an inspection, repair or treatment.